Ideateam is a 9-piece ensemble driven to fuse many influences together in afresh way. 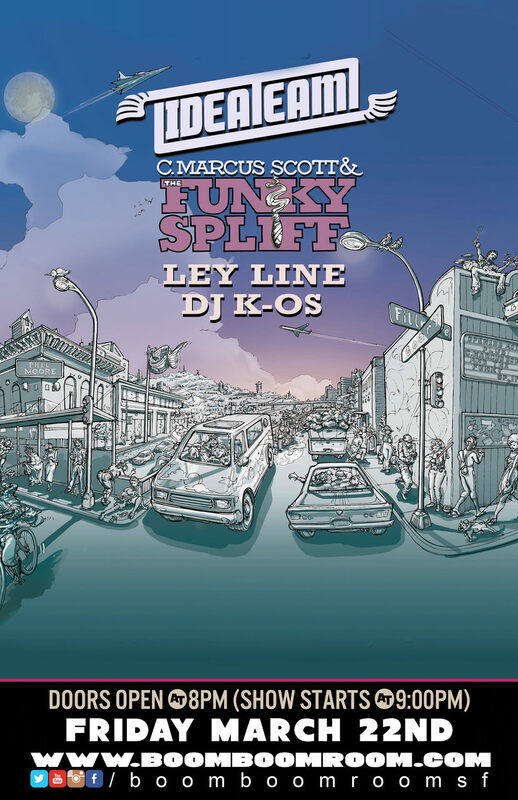 Loaded with two guitars, bass, drums, percussion, brass section, and soulful vocals, the group explores the corridors of groove while flipping through styles like a deck of cards, flowing in and around various genres, noticeably leaning on the funk. They brings sounds old and new, blended with a few drops of extraterrestrial soundscapes – presented by a group of people who simply love to play music. 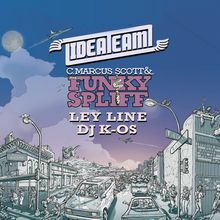 Ideateam has shared the stage with several festival/ tour circuit favorites (Orgone, Polyrhythmics, Kyle Hollingsworth Band, Monophonics, Rubblebucket, Scott Pemberton Band...) and has been honored to open for legends such as Bernard Purdie and The Headhunters. Their latest album hit with huge acclaim in 2018. The group seeks to continue evolving the live music experience they are quickly becoming known for, and further cultivating a positive connection with people through music. Born and raised on the Peninsula, Daniel “Goose” Elfving began his musical career at an early age. As a classically trained pianist, Daniel has been performing for audiences since middle school. By his early 20’s Daniel was embracing the San Francisco funky scene, frequenting the Boom Boom Room regularly where he soaked up the sounds of local Hammond organ/clavinet heroes Wil Blades, John Korty and Jordan Feinstein. After graduating from the College of San Mateo’s (CSM) Contemporary Jazz Program, Daniel has taken on the role of musical director of the band. Daniel’s sound is comprised of 1971 Hammond A-100 (including a Leslie 147), 1971 Hohner Clavinet Model-C, Korg SV1 and Nord Electro 4D. Originally from Tunis, Tunisia Youssef currently attends the California Jazz Conservatory. Picking up the guitar at the age of 11, it was not until he turned 17 that his interest in Jazz/funk/soul started to thrive. Playing and learning jazz with Tunisian master Fawzi Chekili and Mehdi Azaiez, Youssef was quickly accepted to”Jazz Club de Tunis” where he had the opportunity to meet and play with the some of the finest musicians in Tunisia. After being accepted to the California Jazz Conservatory in 2017, Yousef moved to Berkeley, CA to pursue his music studies. In addition to C. Marcus Scott and The Funky Spliff, Youssef also leads “Soundwaves From Tunisia” a project which fuses Jazz and Tunisian/Arabic traditional music. Youssef’s sound includes Gibson and Fender guitars and a Fender Twin Reverb amplifier. Dynamic harmonies run like a current through textures of stand up bass, guitar, ukulele and percussion. Raised on the North American traditions of blues, folk and soul and inspired by their world travels, Ley Line creates a global soundscape; blending rhythms and influences from Brazil, Latin America and West Africa.